Most hated character from a horror movie? - Page 2 - Horror.com Forums - Talk about horror. Hate, or "love to hate"? I'll go with both Frank and Julie Cotton. True that. That's the real horror. Last edited by Harry D’Amour; 05-05-2016 at 01:04 PM. Probably the mayor from Jaws... He's about a 9.7 out of 10 on my "stupid scale". it's a cliche but i can't even sit through "friday the 13th 3" because of shelly. i am not really a huge fan of that series as it is but that guy is so punch-able and i just can't stand him. Most religious zealots in movies are over-the-top annoying, but Mrs. Carmondy from The Mist especially. The Shining could have been a perfect film; if only the kid got the ax at the end. Sometimes the villain is the one who makes the film. Back around 1915, the studios billed Erich von Stroheim as "The man you love to hate." He mostly played sadistic German officers back then. I guess Alan Rickman's performance in Die Hard made critics sit up and say "This guy is good as playing bad." actually, the one I most disliked in that movie was...can't remember his name. The one who tipped the bad guys off to who "Roy" really was. I guess he was supposed to be hateable. What do they do for a casting call when they want to cast a part like Pete Pettigrew in Harry Potter, or the Secretery of Defense in Independence Day? "Wanted, actor to play a snivelling little rat-faced git." 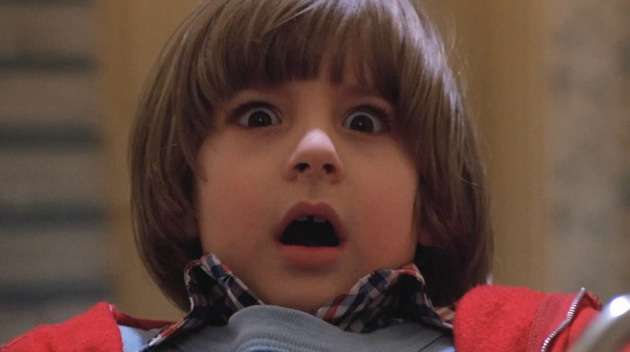 When The Sixth Sense came out, the review that appeared in the New York Times was not very informative, except that you could figure out that the main reason the critic hated the movie is that he hated movies that feature cute little kids.